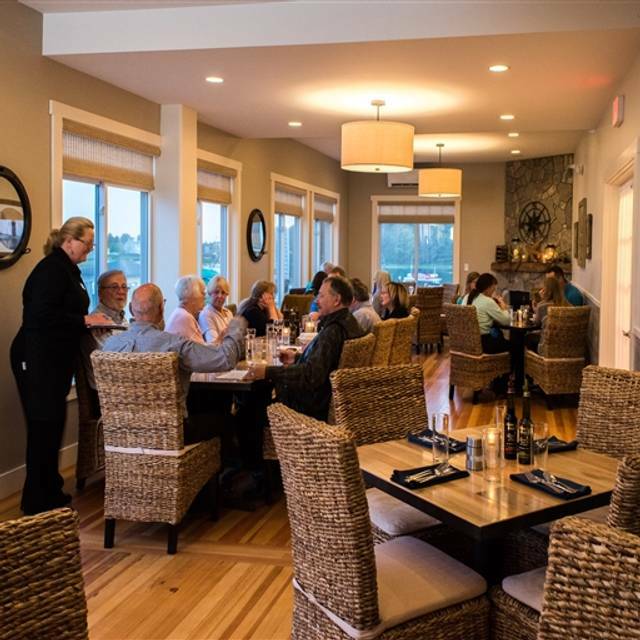 You must make reservations at least 5 minutes in advance of the time at 95 Ocean At The Nonantum Resort. Enjoy your next event from our viewpoint. 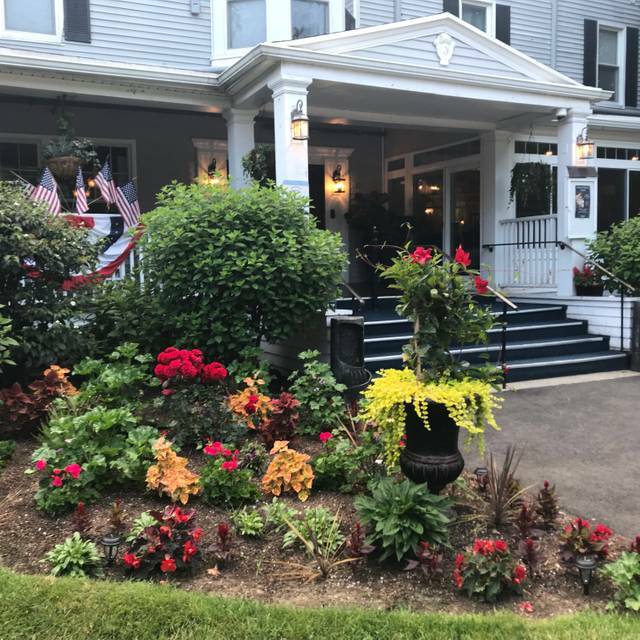 The Nonantum Resort offers a relaxed, attractive, functional setting for your next corporate meeting, with amenities to match all of your group's needs. 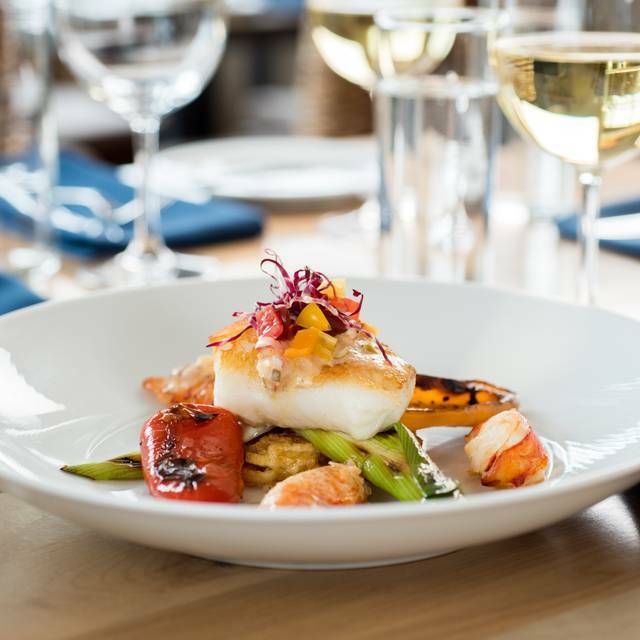 Enjoy the freshest seafood and locally-sourced ingredients at 95 Ocean at the Nonantum Resort. Our menu highlights local produce and proteins from New England farms, the freshest Maine seafood, and herbs from the resort’s organic gardens. Our award-winning restaurant offers casually elegant dining in a relaxed setting, Memorial Day through October. 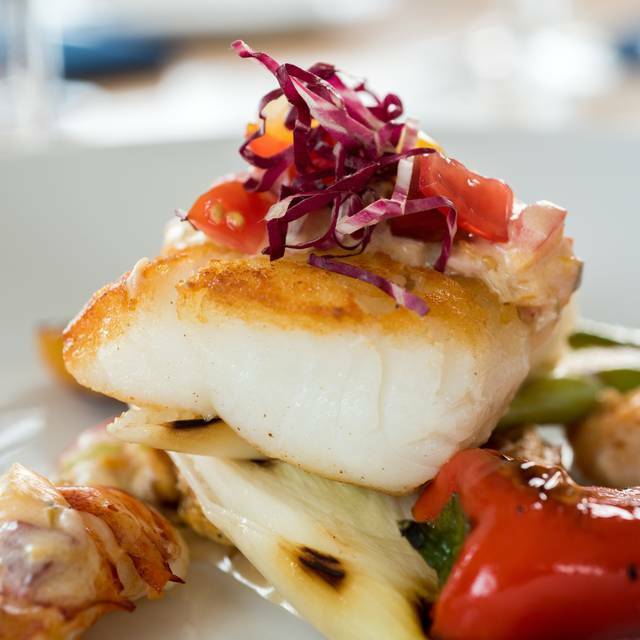 95 Ocean has received a TripAdvisor Certificate of Excellence and TV Diner’s Platinum Plate award. 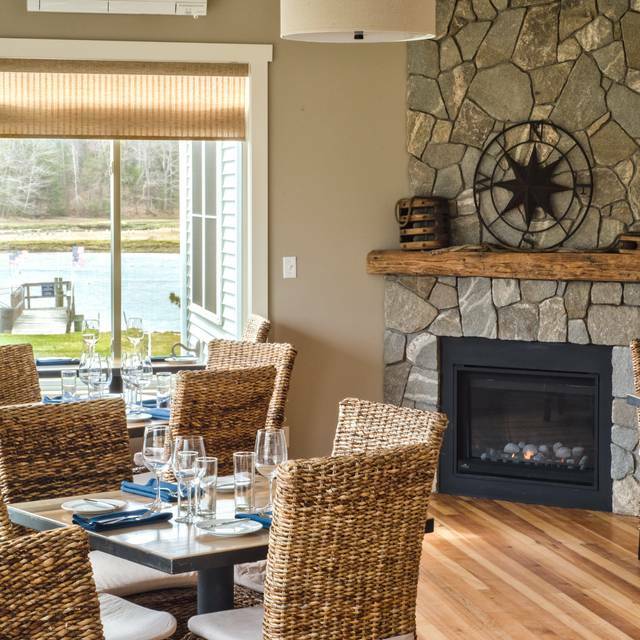 The restaurant brings in some of Maine’s premier musicians for live entertainment midweek in season. We went to the breakfast with Santa. The ambiance was great and Santa was perfect. Staff was very kind and friendly. The problem was the food. This was a relatively pricey buffet breakfast and the choices were minimal. Additionally, the food was cold. It was really a disappointment when I look at the money we spent. We love the Santa breakfast so much but I really wish they still had the omelet bar like every year in the past. For the price of the breakfast you should be able to order an omelet. Our Prelude dinner at the Nonantum was wonderful. The resort's Christmas decorations and ambience was all I had hoped for. My beet salad and pierogi selections were scrumptious. Husband's short rib dinner was surprisingly delicious and melted in your mouth. Thank you, Nonantum, for a memorable dining experience. Went to a special fixed price meal after a tree lighting ceremony for Prelude. Our dinner was amazing! Thank you for having gluten free options. We had trouble deciding and then enjoyed every bite! The staff at the Nonantum is always top notch, they treat you like old friends! Thank you for such an enjoyable evening! My husband and I tried this restaurant for the first time. We loved the view, the service was excellent, and our food tasted spectacular! The chai creme brûlée was amazing, including the maple shortbread that went with it. We will definitely be back! Food was good but this place lacks atmosphere and has minimal "vibe." We were disappointed. We chanced to eat here on a Thursday evening, where they serve a “Date Night Menu”. At $49 for Two, which included a glass of Fizz each, shared starters and dessert and two main courses. Good size portions, wide choice and excellent quality. Who could wish for more? Got married 2 years ago at the Nonantum Resort. Had such an amazing experience- had to go back for dinner to celebrate our 2 year Anniversary!! Does not disappoint!!! From start to finish, lovely meal. The staff couldn't have been more attentive. The food was excellent. Best clam chowder I've ever had. Special thanks to the waiter who cracked and cleaned our lobsters. Couldn't have bern more helpful. 95 Ocean was great. Lobster and halibut was outstanding although a bit pricey. Menu was quite limited though so I’d suggest checking it out via their website to make sure it meets your dining needs. We had halibut and it was outstanding. 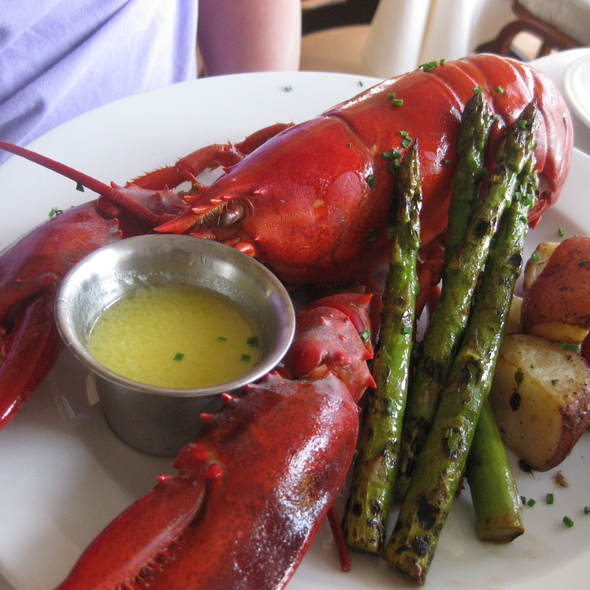 Loved the combination of risotto, asparagus, and lobster that dressed it up. Also enjoyed the pumpkin cheesecake with the "fan" of pumpkin seed brittle. Our waiter, Kevin, was a gem. Had the whole lobster and scallops...both very good. The garlic risotto was excellent and the clam chowder was ok for something different but wouldn't order again. Had the peach (baked?) with brittle for dessert and while good, the portion was very small. Not worth what we paid. We’ve had several excellent meals here this season. Tonight the service was spotty- long waits, incorrectly prepared steak - and several of the dishes not as good as previously experienced. (Wish they had specials, we’ve tried almost everything on the limited menu.) Perhaps it’s end-of-summer exhaustion. But we brought guests from out of town and it was disappointing. We had a nice quiet table on the porch which was perfect. There was a wedding inside and we were able to enjoy their music. The food was very good with clearly marked GF options. Our waiter was knowledgeable and prompt. The food was very good however the arugula salad had no arugula! It was really a mixed greens salad. The roasted peach dessert was tasty except the peach really wasnt ripe/cooked enough -pretty hard. We ate everything, so the waiter couldn't really say much when we told him. 4 of 5 entrees were very good - 2 halibut, 1 cod, 1 scallops entrees were very good, the other cod was dry and not great. Amazing for a gluten allergy! Clam chowder was just outstanding! This is a restaurant inside a family resort. It was not the ambiance I was expecting. We were there for our 50th anniversary. Were given a table with a great view. Food was terrific. Our server Elizabeth was very nice and attentive but restaurant was busier than usual so took longer to get our food which was not a problem because we were not in a hurry. One of the best meals my wife and I have had! The food was amazing and the service was even better!! This is a local establishment that truly cares about their patron’s experience! I highly recommend!! 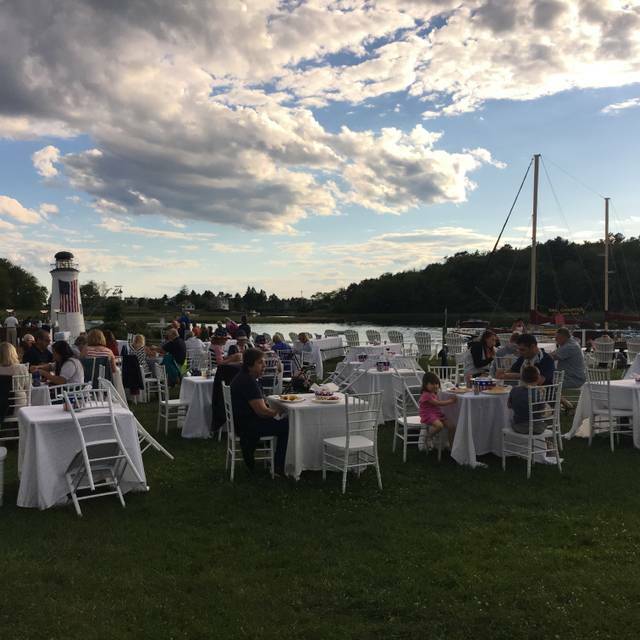 Fabulous food and beautiful setting! The servers were very friendly and attentive. We are looking forward to our next visit! The food and the presentation was wonderful. $12.00 for three small pierogies was a bit much. The hotel had a wedding in the room next to the restaurant. This made for a noisy occasion. It was not conducive to a quiet meal. The service was slow. We noticed other diners were not having the same issue. We dine in the area and this was our first time at 95 Ocean. It may be our last as well. Great food. Service was very slow. Not on top of their game. Would go back knowing that the service is slow. Service was spotty (our favorite Annika wasn’t working tonight). But food was excellent- my clam chowder was one of the best ever. My partner loved his cod and our host reported her lobster was terrific. Meal was excellent although portions were actually to big. I had grilled halibut and portion must have been close to a pound. My wife had the salmon and couldn't finish her's either. Both meals were done perfectly one of the best seafood dishes we both have had in quite a while. Arrived about 15 minutes early but were seated right away, nice table looking out at the water. Service was excellent though our waitress was a little hard to understand do to her accent. Will go back again when in the area. Overall is was a positive experience; however, given the cost we were expecting more efficient service. Our server was very nice, professional and worked extremely hard. She just seemed like she was given way to big of a section to handle in a way that folks deserved. This used to be a great place with a wonderful, full menu. Now they have gotten rid of the blueberry ribs, the great salads and the menu is skimpy. The chicken was bland and the polenta cake gritty. They need the old chef and menu back. Unfortunately, my family and I got sick from eating there. Also, there was a wedding that night, and the restaurant really should have closed for the wedding-not enough help, etc. We were there for a rare getaway without children so we’re looking forward to a quiet “nicer” dinner. Didn’t happen. Clearly a great place for families since it has an affordable kids buffet but would not recommend it if you want to chill. The tables are close and we had loud small children on both sides of us. Again, I have kids too and it would be fine if I wasn’t expecting a quiet date night. The food was very average and the service was also slow. I think more of a symptom of our particular waitress and not everyone. I was very disappointed by our dining experience. 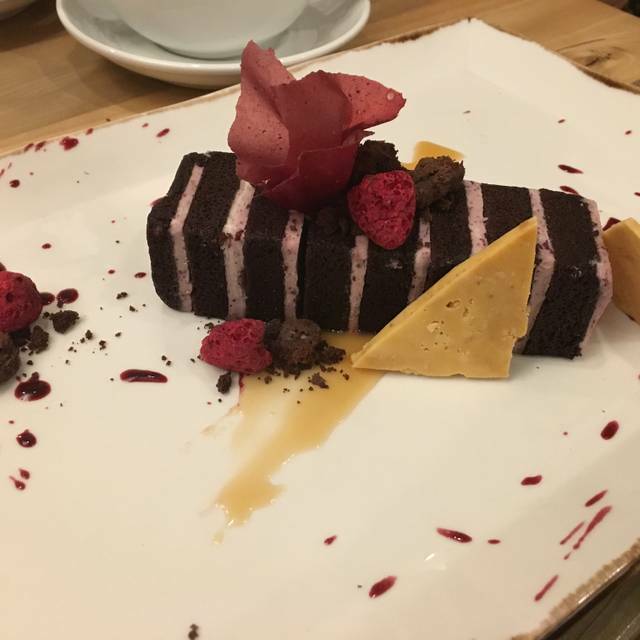 From the photos I expected a high end restaurant located within a well known hotel. However, other then one dining room the rest of the restaurant felt like a side note in a hotel hallway or part of a closed off banquet room. Another room was set up for a breakfast buffet and there was a pizza buffet set up next to the host stand. There were even guests walking through with luggage just feet away as though they were going to their room. It was very loud and filled up with families and small kids (which is not a problem but again not in line with the high end profile displayed through branding). Our server was friendly and responsive. The food was was under whelming and more on par with banquet food. The food was amazing. The service was extremely slow and not very knowledgeable. I was very disappointed and slightly embarrassed as we were taking our adult children there. However, the food helped build the gap. Best scallops and halibut entrees!! This restaurant had some nice reviews which was why we went. After being seated our server pored some Luke warm water. I asked for lemons which took 10 minutes to deliver. Then another 10 minutes to get our drink order, we felt very ignored! Finally we made our dinner order, my husband asked that his cod have no added salt. When I tasted his it was Very salty! ( and I like salt) so not so good on that point. The Menu was very small in choices and our server did not seem to know much about the choices we had. My halibut was delicious, but considering the whole experience I would NOT recommend going here. Go down the street to Mabel’s much better choice! Kids everywhere. Would not recommend unless you are vacationing with your kids. First time I ate here, but definitely not the last. The food was beyond delicious. I would recommend this restaurant to anyone coming to the Kennebunkport area. Ambiance a bit lacking-definitely the feeling of dining in a hotel restaurant. Food creative and well-prepared. Salmon entre- the best! Perfect! And get the lobster! Such a friendly staff and cocktails outdoors by the ocean made the night! Food was good but not outstanding however ambience was. Love the piano player and the fact that it was piped into other rooms. Love being able to see the garden out the window. The Nonantum is a very nice resort. 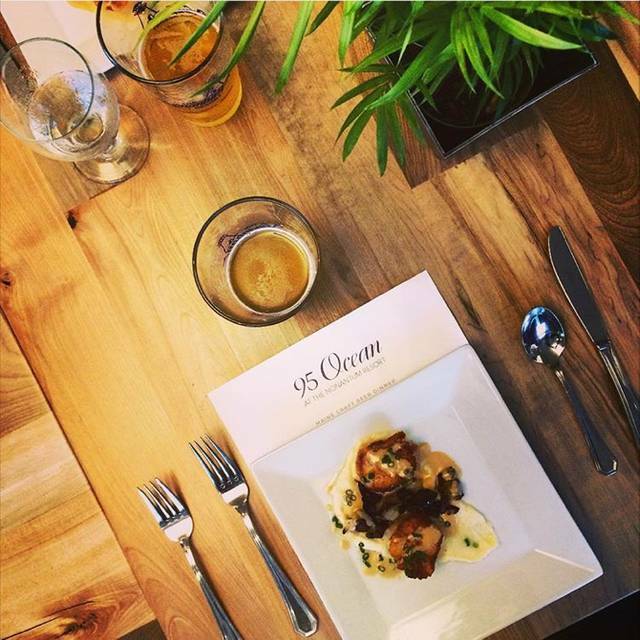 The food at 95 Ocean was great. We had the filet and the whole lobster dinner. Plenty of food and a great view of the beach!